Have you ever wondered what Razor bumps are or what actually causes them? Razor bumps (otherwise known as pseudofolliculitis barbae or PFB for short) is actually an inflammatory condition that is often triggered by shaving. The term pseudofolliculitis is important because it basically describes this disease. Pseudo means fake and folliculitis means infection (or inflammation) of hair follicles. So when you break down the word it actually means fake hair infection or inflammation. It means that razor bumps are actually an inflammatory process and this process is triggered by hair follicles and the way they try to "escape" the skin. Abnormal shaving patterns can alter hair follicle integrity and cause your hair to exit the skin in an abnormal path. This results in inflammation in the skin which causes redness, irritation and the classical red bumps associated with razor bumps! And the thing is that razor bumps are more than just a cosmetic issue. Long term and recurrent razor bumps can lead to scarring of the skin, hyperpigmentation (discoloration) and even scars or keloids. This means it's in your best interest to figure out how to stop razor bumps from popping up or at the very least reduce the frequency with which you get them! 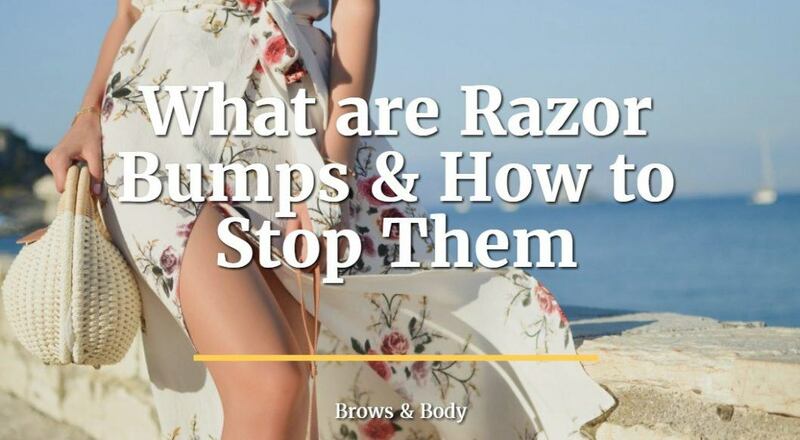 One of the main triggers of razor bumps is shaving. While shaving you are cutting the shaft of the hair follicle and creating a smaller, sharper object than what existed before. If you've ever had long hair and cut it really short then you know what I'm talking about. Long hair has different properties than short hair - meaning long hair is usually "softer", it "lays down" easier and may not be as course. But what happens when you cut your hair short? That same hair now becomes more rigid, less flexible and more coarse. Where do Razor Bumps Pop up? Razor bumps are most commonly seen on the face area after shaving (especially in men). But women are not immunized from this condition either! Women with dark, curly hair, or just genetics may also experience razor bumps especially when shaving their legs, inner thighs or bikini area. How do you know if you have Razor Bumps? Razor bumps are diagnosed clinically, which means you can diagnose them just by looking at the skin and by evaluating your history. Do you develop red bumps after you shave? Do these red bumps go away on their own after a time? Do you have dark, thick or naturally curly hair? Do you also have a history of ingrown hairs? If you answered yes to any of these questions then there is a good chance that what you are experiencing is razor bumps. The actual clinical presentation of razor bumps is as follows. 1-2 days after shaving you experience red bumps on your face that sometimes look like white heads. The scientific term for this is a papule pustule. The area that was shaved is often very sensitive, may bleed during shaving and often remains red and irritated for several days after shaving. The white bumps and redness tend to fade over the course of 3-7 days as your hair grows out. The process then repeats itself after you shave. This disease affects up to 1 in 5 caucasians and is even much more common among darker skin individuals. So what factors increase your risk for developing razor bumps? Believe it or not, for something that is as common as razor bumps we really don't have a great understanding of how to treat it. Scientists agree that there is probably some genetic component that plays a role, but beyond that we only have list of risk factors which may predispose you to developing them. The definitive treatment (at least from a dermatology perspective) is to focus on prevention as opposed to treatment. Prevention means that you basically want to avoid shaving or other known triggers. Beyond simply not shaving (which isn't always an option for everyone) you can focus on some other techniques which will reduce your RISK of developing razor bumps. Is there a difference between razor bumps and ingrown hairs? Yes, but the difference is subtle and it really depends on how you define both. It may be better to consider razor bumps and ingrown hairs on a spectrum or continuum. In this setting razor bumps can be considered as tiny ingrown hairs that eventually resolve on their own. True ingrown hairs often do NOT resolve on their own and may actually require removal. Extrafollicular means that your hair follicles never make it outside of your skin and instead form a tiny bump. This type of ingrown hair is concerning because it may continue to cause long term irritation and require removal at some point. Transfollicular means that the hair exists the skin but then curls and starts to grow back into the skin at another point. This type of in grown hair can usually be removed with the use of tweezers which prevents further damage. When removing transfollicular hairs make sure that you do not completely tweeze out the hair though! Doing so may increase your risk of developing ingrown hairs in the future. The idea behind treating razor bumps is to both reduce your risk for developing them but also to reduce the amount that you might get. So even if you know that you're going to get razor bumps after you shave you may be able to reduce the AMOUNT of them by 50% or more. You first want to warm the skin up with hot water prior to shaving. This stage helps increase poor size, which opens up the skin and exposes hair follicles. The next step is to use proper shaving lather or cream. This step is important because it helps reduce inflammation and helps the razor cut hair follicles in a uniform way. Next you want to make sure you use a high quality razor and cut the hair ALONG the grain or in the way that your hair naturally grows. If you suffer from razor bumps do NOT shave against the grain. Remember that the hair in your skin tends to grow out in a certain direction. If you create a cut in the hair that is not in line with how it grows out of your hair follicles then you may be trigger razor bumps as it grows out. The last step is to "shock" the skin with cold water which helps close the pores. This process will help reduce the chance that your hairs will grow into the skin by providing them with a "track" to grow out of. #2. Use only high quality razors! Using a high quality razor is also very important to reduce razor bumps. This means using a razor which is very sharp and one that glides over the skin with ease. The goal here is to reduce any chance of inflaming the skin which will increase the odds of developing razor bumps. Another important part of reducing razor bumps is to avoid picking, scratching or otherwise irritating any existing razor bumps. Remember that they are primarily caused by inflammation to the skin follicle. Any further damage to the skin will only make the inflammation worse and increase swelling to the area. Any swelling will further increase your risk of developing razor bumps in the future in a vicious cycle. Even if your razor bumps develop a "white head" do your best to avoid picking at them. Just realize that they WILL naturally fade over time. Another strategy is to reduce any existing inflammation on your face (or body) before you shave. This means addressing any issues on the skin such as acne, rosacea or other inflammatory conditions. It also means using a high quality face wash. Most dermatologists recommend using face washes designed to treat acne if you suffer from razor bumps. The reason for this is that acne based cleansers often help to normalize bacteria on the skin and containing soothing ingredients such as aloe and certain vitamins which can promote faster healing. 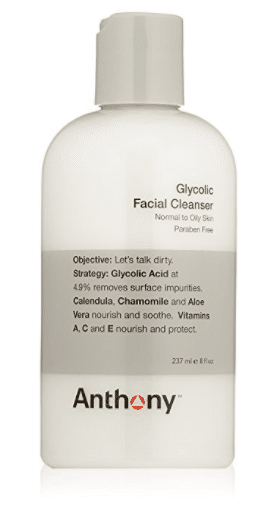 If you suffer from razor bumps then consider using a high quality face wash (or body wash) which contains glycolic acid. And yes, you can use this cleanser on your legs or other places. It's also important to moisturize your skin and keep it healthy in between shaving. This means using a moisturizer (on your entire body), especially if you live in a dry climate or if you have dry skin! It's also important to moisturize more intimate areas such as your underarms and your bikini area if you suffer from dry skin on your body. Always remember to let your skin heal before you shave. Shaving can be a traumatic experience to the skin and add fuel to the flames if you already have existing razor bumps. Before you shave make sure that your existing razor bumps are completely healed and ensure that you do not have any residual redness, irritation or blotching of the skin. Razor bumps can be a tricky thing to treat and prevent, but with the right steps you may be able to reduce both the appearance and frequency with which they appear. These recommendations are relevant for both men and women and they apply to all areas of the body! Your #1 priority when treating razor bumps should be to prevent them at all costs (it's much more difficult to treat them once they pop up). Doing so will help prevent long term side effects from chronic razor bumps such as scarring. What tricks do you use to prevent razor bumps? Which ones have worked well for you? Leave your comments below so that you can help others!